Assistance League fosters community philanthropy through its more than 22,000 members, 120 chapters, in 26 states. 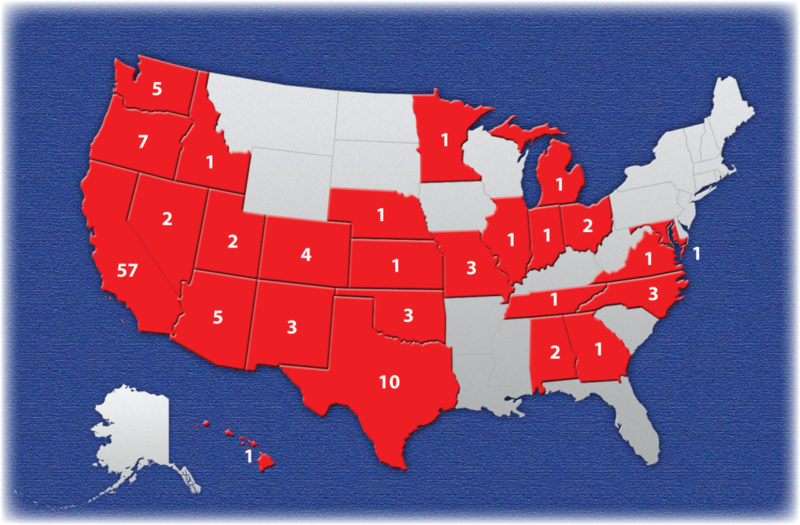 The highlighted areas indicate states with chapters and the numerals indicate the number in each state. Assistance League chapters are respected philanthropic organizations within their communities. All funds raised by a chapter stay in the community and support philanthropic programs designed to meet their respective community’s needs. Would you like more information? Contact the Chairman, Chapter Growth Committee or submit the interest form listed below. Invite five or ten friends to meet with national representatives to learn how to establish a chapter of Assistance League.